We made it. Here is my brain dump at the end of the week, because it's Friday, and we gotta get down on Friday. I received a ModaVoxBox from Influenster, and was amazed at the number and quality of products that were included in it. The samples were full size and they are all samples that I am using and loving on a daily basis. I am especially a fan of the Rimmel products. There were full size products of Rimmel London Scandaleyes Rockin' Curves Mascara, Rimmel London Moisture Renew Lipstick, and Rimmel London Moisture Renew Lip Liner. I find that those products are things that I am bringing into my makeup routine on a more regular basis. I also used the Hair Food Moisture Hair Mask for the first time, and absolutely loved it. This is a brand new product that can be found at Target. If you have dry or color damaged hair that needs a little lovin', go grab this. There was also a bottle of Resource Natural Spring Water, which at first I wasn't that excited about. It tasted just like a normal bottle of "fresh spring water" to me. But I found out that you can order this online and have it delivered to your house, and I am such a fan of things like that. 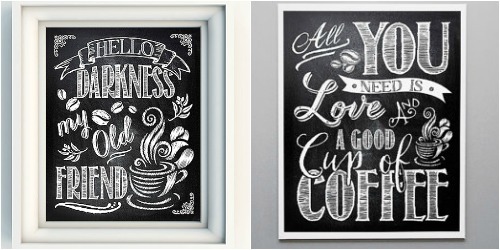 I've decided that I want to add some chalkboard prints to my kitchen. And the theme is going to be what else? Coffee. I've been browsing Etsy, and there is the cutest shop called Print Annex. The Majority of the listings are instant downloads, which keeps prices down. Here are two prints I'm considering to frame. Random small apartment problem. We have these huge pieces of tagboard that I used to make my leaning chalkboard just sitting in the living room. This summer they will eventually be made into other things for the wedding, but we really don't have anywhere else to put them. So for now, they are taking up a large amount of space, and acting as a ginormous eyesore in our space. I might take them into work and see if I can store them in our carpentry shop, but I don't want to risk them being used or taken! I know that this might just be the weirdest, most first world problem. But it's a struggle. Sunday is this handsome guy's 25th birthday! I can't express how amazing it has been to be by his side through these seasons of life. I can't wait to spend many, many more birthdays together! 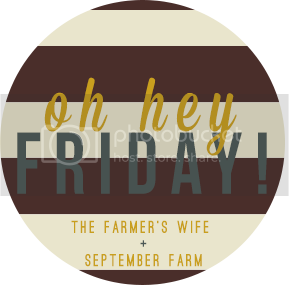 We are celebrating tomorrow by eating chili, tailgating and going to one of our favorite breweries! You can be sure that I am going to Instagram and Tweet the crap out of our adventures. Have a great time with your handsome guy on his birthday.